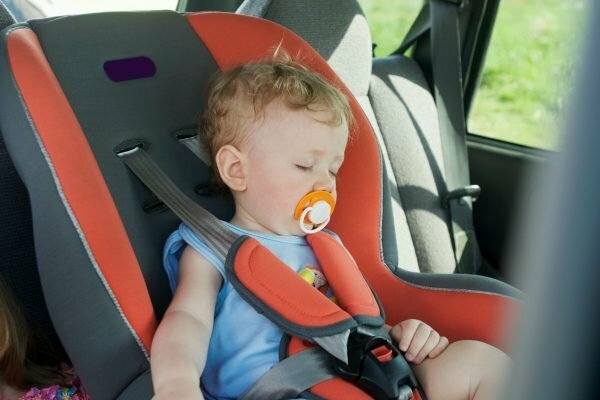 Baby car seats Australia: How to know your car is safe for kids. It’s a regular Monday morning and I’m driving my little boy to childcare. I strap him into his car seat, crank up The Wiggles and off we go. It’s an everyday scenario for so many parents. But recently I discovered that the safety of car seats and baby capsules – as well as other parts of our cars – can sometimes be deceiving. Earlier this year, several parents in the US were shocked when they tried to take their babies home from the hospital when staff identified their capsules as dangerous, missing important safety architecture like chest clips. They were later revealed to be low-quality and incapable of protecting a baby in an impact. According to a report on US site Motherly, counterfeiters and criminals have been selling dangerous fake baby capsules and hybrid car seat/strollers, even on reputable sites like Amazon, placing children at risk. I couldn’t believe it. But when I looked back at what I did before my son arrived, I was relieved to realise it was the right thing. 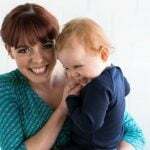 We’d carefully chosen a baby capsule to get fitted in the weeks before our son arrived, and it filled us with confidence. We knew we’d be able to bring him home from the hospital safely, ready to start our life as a family of three. But how could us parents be sure our cars are as a safe as possible? I asked for a little advice from an expert – Fabiola Dos Santos, Senior Brand Protection Specialist at Toyota. To avoid purchasing a counterfeit baby capsule or seat, Fabiola advises parents to select and buy from an authorised retailer who sells genuine car parts. 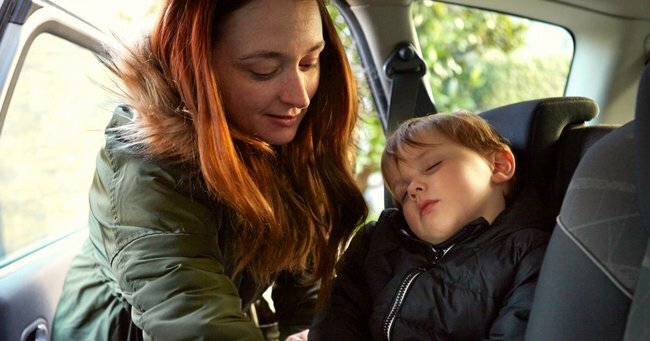 It’s worth noting that in Australia, it’s the law for all children to be safely fastened in the correct seat for their size and age, to help prevent serious injury in the case of a crash. For newborns up to six months, this is an approved rearward facing restraint. When it comes to your child’s safety, it’s always best to buy this kind of item from a brand’s website, rather than taking a risk with a third party. Safety goes beyond car seats, though. The most straightforward car check you should do before driving your newest passenger home is “to take your vehicle to your local dealer for a car service, to check that it’s been fitted with genuine parts only”, according to Fabiola. In a recent survey of parents, the Federal Chamber of Auto Industries, Australia’s peak body for the auto industry, found that for every 10 hours research for a baby capsule, most parents don’t know what their car will be repaired with. The majority indicated spending just 15 minutes researching their car’s insurer and PDS. There are significant consequences of using fake parts in your car, and even small pieces can pose a risk, explains Fabiola. This impact goes well beyond massive repair bills. The Federal Chamber of Auto Industries (FCAI) initiative Genuine is Best has seized and tested many counterfeit items against genuine parts. The results of the testing are scary, with the discovery of fake bonnets that increase head injury risk for pedestrians and can fly open at speed, and fake steering arms that snap in an emergency swerve leaving drivers with no control. “We’ve discovered fake wheels that shatter on impact with potholes, brake pads that have at best a 25 metres stopping distance, can catch fire and contain asbestos,” Fabiola says. Phony oil filters that don’t filter oil are “being sold door to door to mechanics, who can’t tell the difference”, she adds. These fakes might get you to and from work or school without noticing anything wrong, but under pressure, these fakes fail and could leave you and your passengers exposed to extreme risk. While it can be hard to identify genuine parts, you can make sure labels are in clear English and avoid any strange, generic or misspelt brand or seller names. Genuine is Best has some great tips in their website’s section on how to buy genuine parts. In short, genuine car parts are tested and proven to provide performance and protection. Non-genuine parts can’t make these promises and are not subject to the same testing. Safety goes beyond the car seat. Image: Getty. Fabiola encourages us to ask our repairer one question: "Will you use genuine parts and follow the manufacturer’s approved process?" Have the repairer talk you through the job and show you the job card. Step back and look at the car. If panels have been repainted, check to see that they match. Look at where the panels meet and for any large gaps, which may indicate non-genuine parts or poor quality work. Check the appearance of the car, inside and out. If it’s dirty, it may suggest poor quality work. Make sure the parts work properly, such as headlights, handles and locks. Request an invoice itemising the parts and a copy of the repairer’s warranty. When it comes to our cars, and the safety of our families, we need to be fully aware of the dangers of fake parts. For more information on choosing genuine parts, visit Genuine is Best. Genuine parts, accessories and dealer servicing ensure cars protect and perform as the manufacturer intended. There’s a good chance your vehicle is being fitted with non-genuine parts. We have partnered with Mamamia to produce a content series to make sure people making automotive decisions are empowered to make the right decisions for their drive, because nobody knows a car as well as the people who made it.